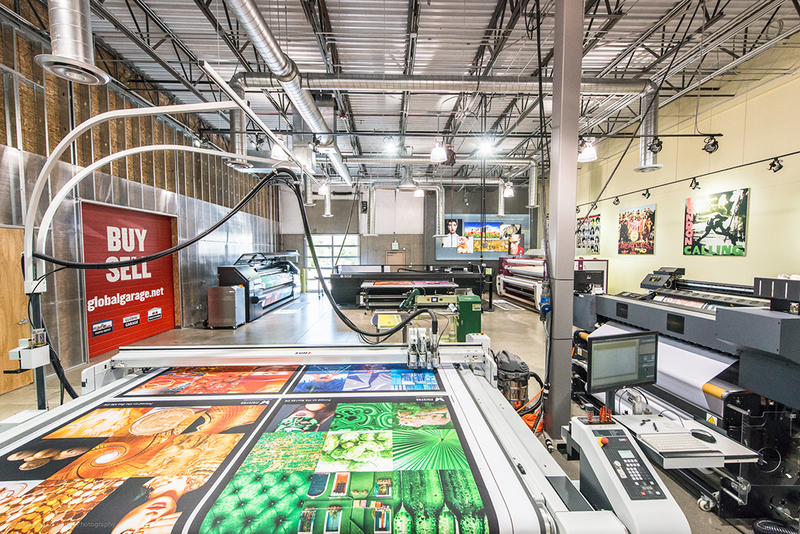 This is all-in-one dye sub printing done right. 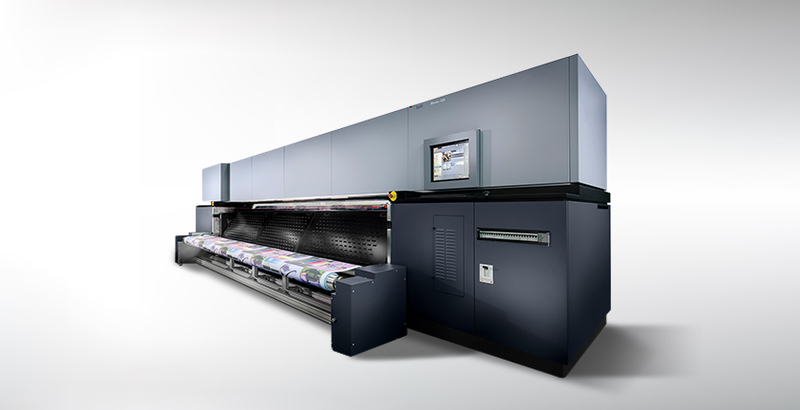 A perfect textile print requires an excellent ink formulation, a stellar printer and a well-engineered calender. The PrinterEvolution D Series has all three. 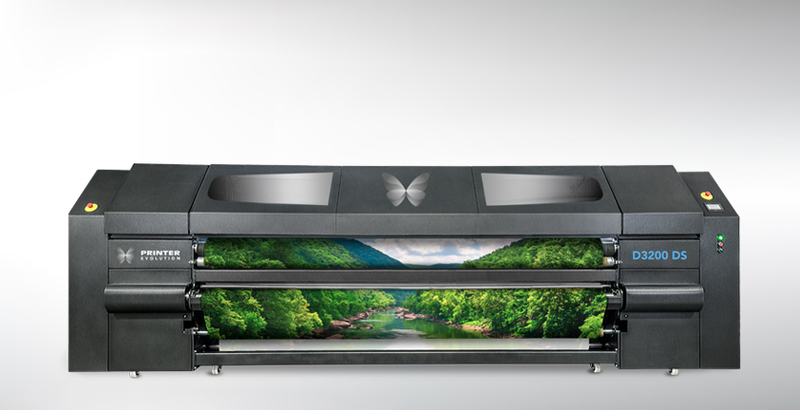 With its industrial build and complete in-line sublimation, the D Series digital textile dye sublimation printers offer print shops a super fast, high quality single-workflow textile printer with a compact footprint. 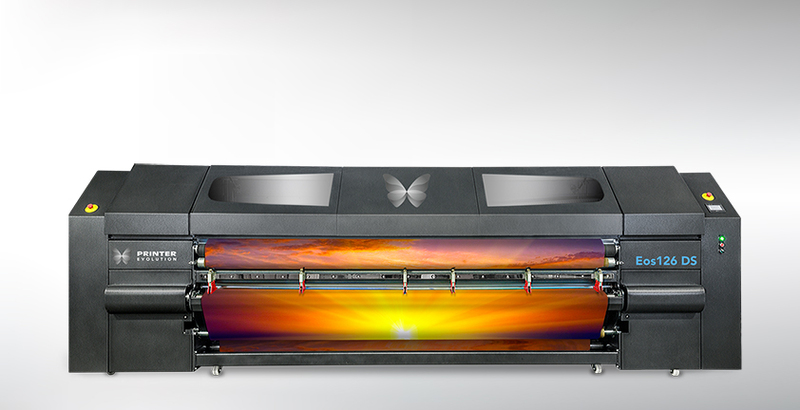 Plus, you can convert your D Series into a transfer dye sub printer with the optional Transfer Print Kit, allowing you to change from printing directly on fabric to printing on transfer paper in mere minutes. 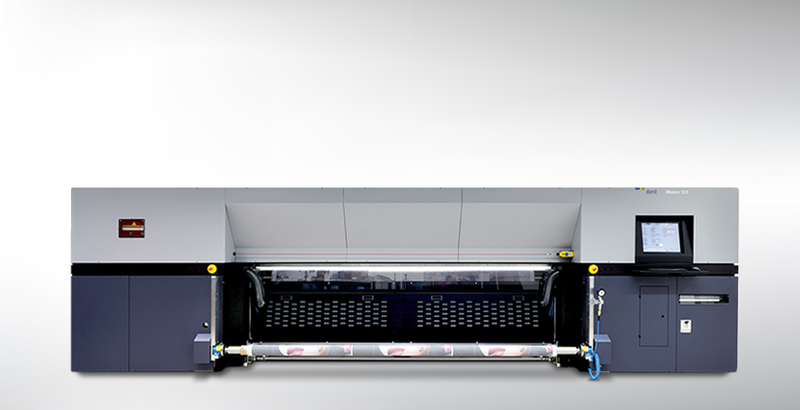 Industrial built digital textile dye sublimation printer. On-board true calender with pressure, timing and heat. 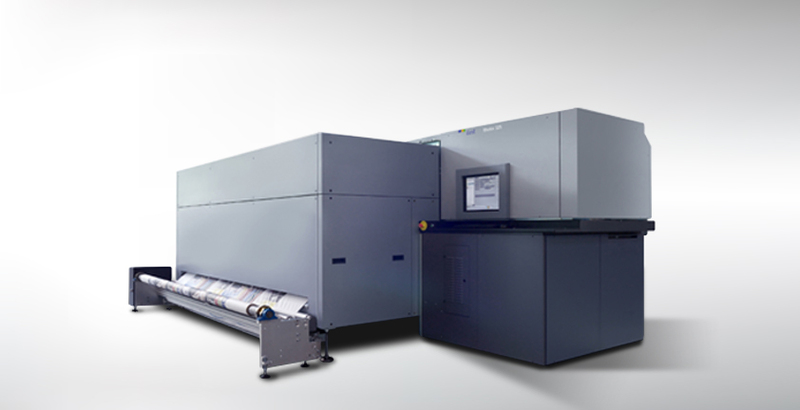 State-of-the-art Kyocera 4pL variable drop printheads. 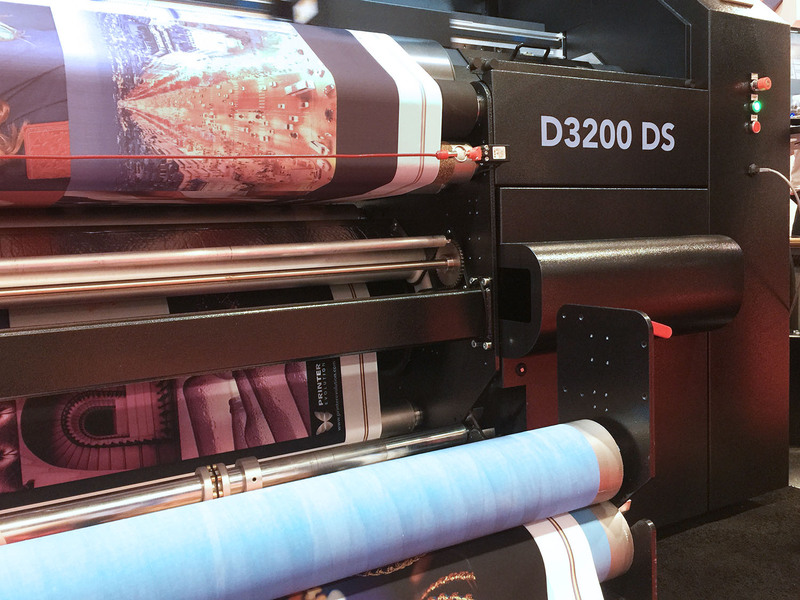 Unlike many competitive products, the D Series can print on standard digital textile fabrics as well as specialty materials, such as open weave and stretch. 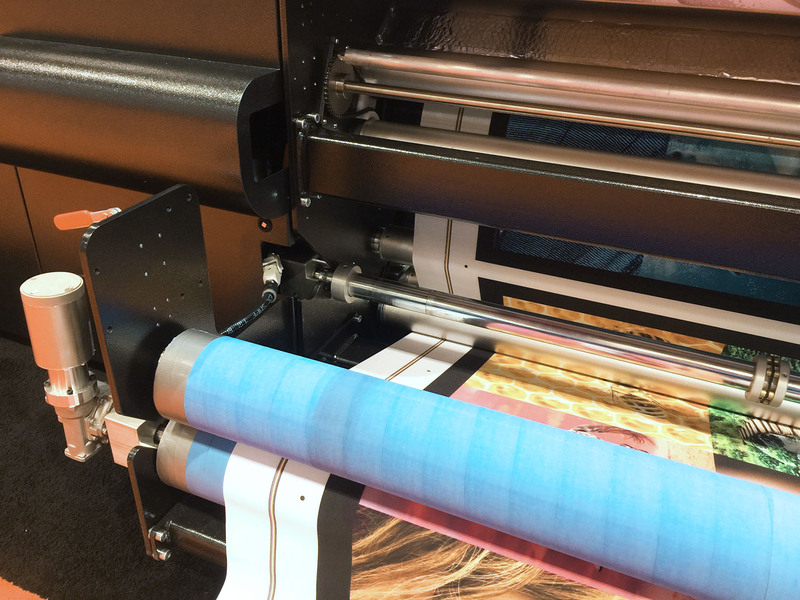 Using a uniquely designed trough system fitted with a sponge and ink pad that absorb any ink that passes through the fabric when printing on mesh and other open weave materials without marking the backside with “blow-by” ink. 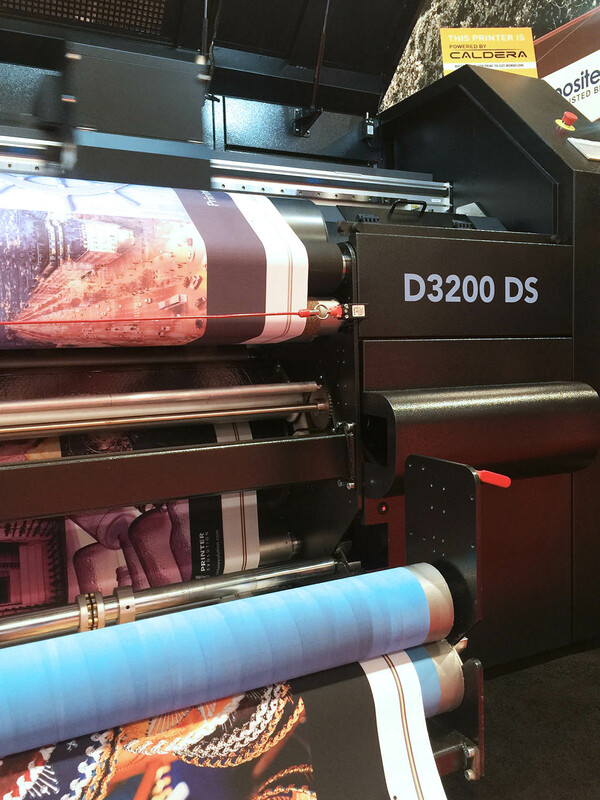 For stretchable fabrics like Lycra, spandex and other sports textiles, the D Series uses a cork-covered cylinder to spread and hold the fabric in place, maintaining perfect, precise print quality. 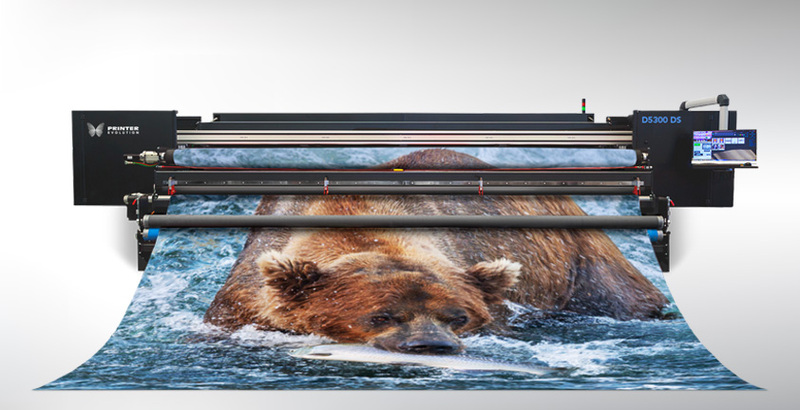 Bulk Ink System – Pair the Jumbo Roll Setup with the D series 2.5 liter bulk ink system and you’ll be printing longer runs with fewer interruptions. 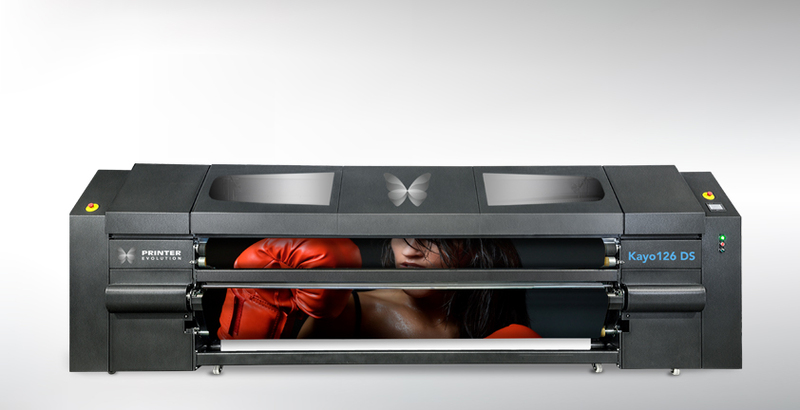 Transfer Print Kit – Allows the operator to change from printing direct to fabric to printing on transfer paper.